La Fragata Enquiry - Click Here or on Image Below ! 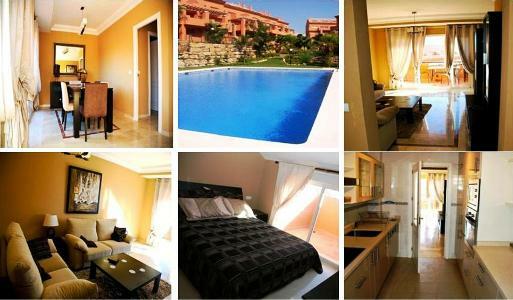 The beautiful La Fragata complex is located close to the lively Estepona Marina. The complex has a large modern communal pool and very pretty open garden areas. Nearby you can find supermarkets, restaurants, bars and two beautiful beaches. The towns centre is only a 15 minutes walk along the excellent beach promenade. This brand new and nicely furnished apartment is fully equipped with air-conditioning and satellite with a flat screen TV. It also has a new kitchen in highly polished cream with ceramic hob, oven, microwave oven, fridge/freezer totally equipped. There is also a washer-dryer in the separate laundry area. The property also boasts three bedrooms, Double Master Ensuite, Twin Bedroom and further Double bedroom. There is also a large lounge and dining area with seating for six people. There are views from the balcony to the coast and beyond. La Fragata Enquiry - Click Here Now !